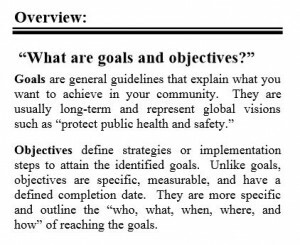 What are your ideas for Goals and Objectives? Planners are often unfairly characterized as waiting to the last minute to seek input from the public. This perception is driven by the public hearing and open meeting laws that require a public hearing be advertised in the newspaper a certain number of times/days before the hearing. In our case, these laws apply to the RVAMPO’s Long-Range Transportation Plan (LRTP) and Transportation Improvement Program (TIP). However, these laws have the unintended consequence of giving off the impression that planners wait until the last minute before seeking feedback through a “public hearing.” In my experience, nothing could be further from the truth. We planners need good constructive input and feedback from citizens to help us develop plans in the first place. Gone are the days of the 1950’s and 60’s in which planners believed that there was one rational and comprehensive planning model that applies to all situations. Now, the vast majority of planners see their role as using professionalism and tools to have a conversation with citizens (“the public”) and to facilitate joint creation of plans that reflect the values and aspirations of a community. This new role redefines the way planners view the public involvement process, which was previously mechanical and primarily benchmark driven. 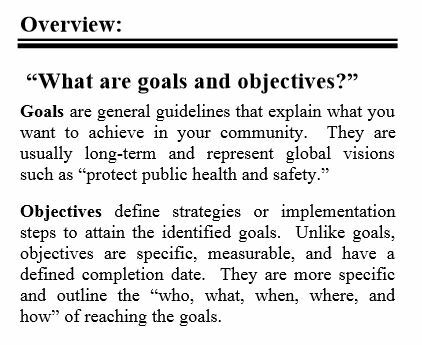 With the above in mind, many plans often begin with “Goals” and “Objectives.” The next LRTP – due in the summer of 2015 – will be no exception. So, we are asking – even imploring – you for your early input to help us develop the “Goals” and “Objectives” of the next Long-Range Transportation Plan. We are not waiting for a “public hearing,” we crave your input and feedback now! Please put your ideas for goals and objectives in the comment box below. Let’s get a conversation going. This entry was posted in Transportation, Latest Updates and tagged Public Involvement, Regionalism, public input, Transportation Planning, LRTP, CLRTP, Long-range transportation plan, Goals and Objectives, public participation on April 15, 2014 by admin. Does this conceptual reversible lane system represent part of our high tech future? Comment below with your ideas. When I was growing up, movies and TV shows depicted a high-tech future (now) of automated transportation and fast mag-lev trains. It seemed that the high-tech future was always around the corner. Some of these images were artistic license in order to make movies look interesting. Other predictions were overly optimistic concerning the technical challenges involved. However, due to real advances in automated systems, Google’s forays into self driving and driver assist vehicles are just one example, some version of the high-tech future for transportation may actually arrive within the next 20 years. As we are developing the next regional Long-Range Transportation Plan (LRTP), we would like to hear from you. Which technologies do you think will impact transportation and travel in the next 20 years. What are the “game changers” in your opinion. Use the comment boxes to put forth your ideas. 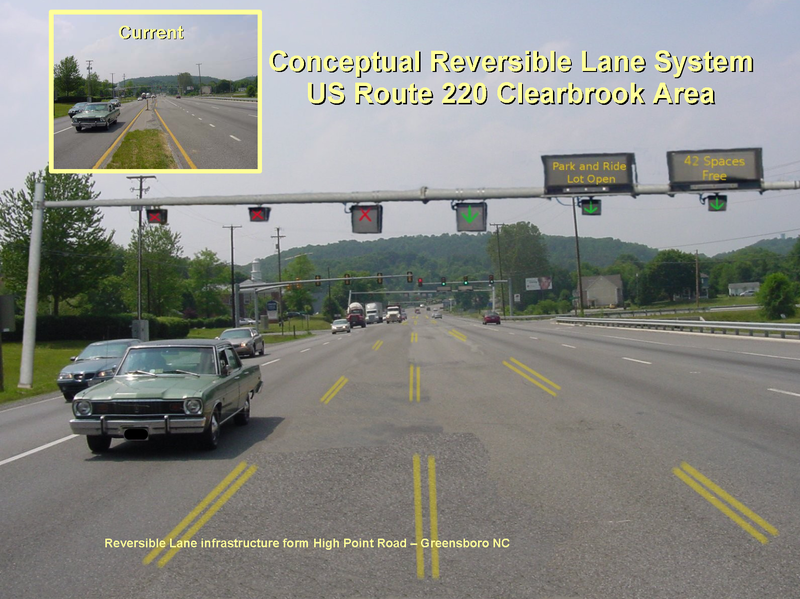 This entry was posted in Transportation, Latest Updates and tagged congestion, Transportation Planning, Intelligent Transportation Systems, technology on April 1, 2014 by admin.